Want America to be a Climate Leader? Need a little added inspiration to get involved? Make history with us and be entered to win in the Worlds Biggest Green Sweepstakes! When you sign up to win from hundreds of green prizes from your favorite companies, you will also receive a weekly email with a simple and easy call to action. 350.0rg, 1Sky, and our other non-profit partners will tell you what to do. Collectively, were going to add up to big change. And, its just about time, too. World leaders are meeting in Copenhagen in December to hopefully come to an international agreement on the world-wide reduction of greenhouse gas emissions. If America is going to truly be a leader, our leaders need to hear from us now. So, lets realize our power and show that we add up. 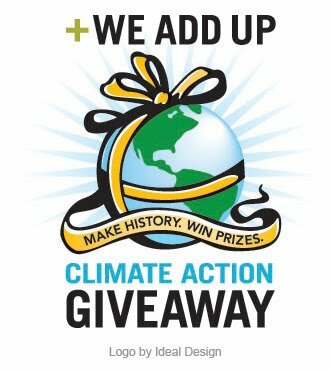 There will be over 230 winners in the Climate Action Giveaway and each prize will help you lead a more sustainable lifestyle. You’ll find the ECOBAGS.com prize on the page that says “MORE PRIZES”, valued at $145!